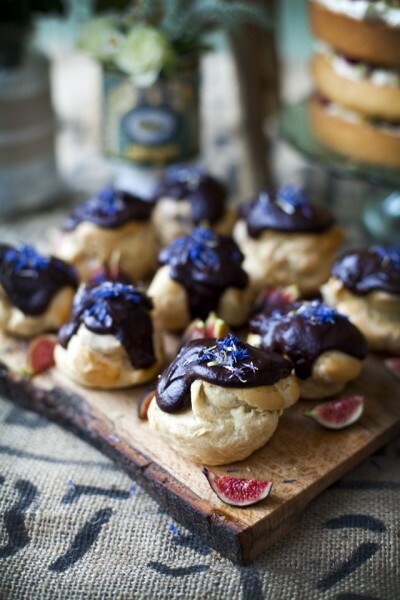 These rich, fragrant pastries will go down a treat with your morning cup of coffee. As European baking goes I have a slight bias towards Sweden. I love their cardamom-scented and cinnamon-laced sweet bakes, breads and cakes. 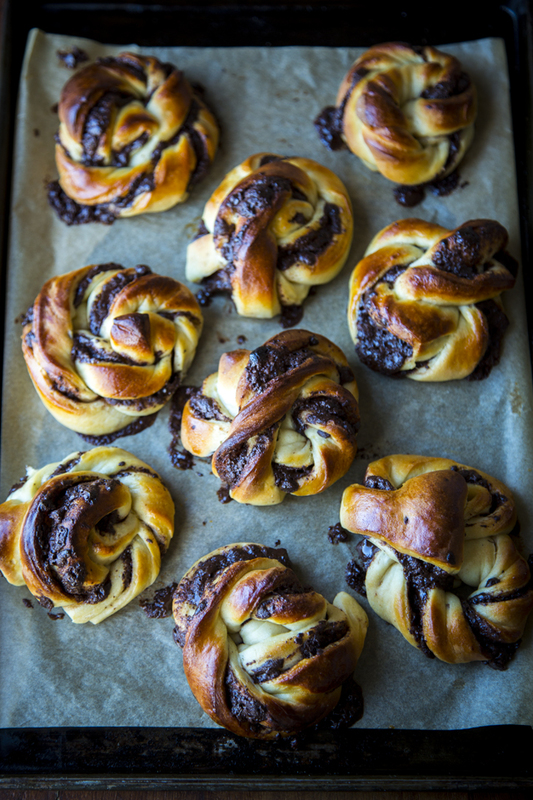 These chocolate swirl buns borrow the sweet bread dough used to make traditional Swedish cinnamon buns but, instead of cinnamon butter, have a dark and decadent chocolate filling. 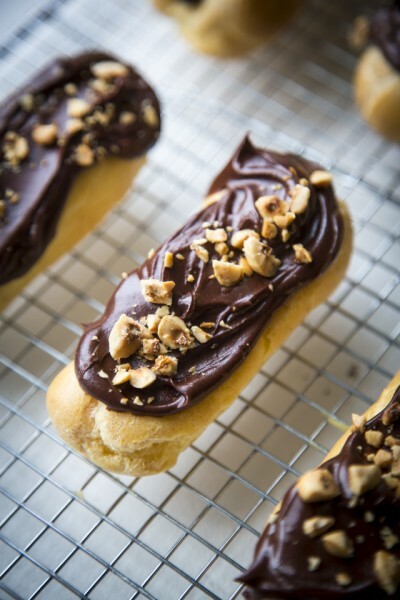 I’ve kept the cardamom in the bread dough – it works well with the chocolate. Melt the butter in a large pot gently over a low heat and then add the milk. When the mixture is lukewarm, remove from the heat and add the two sachets of dried yeast, whisking to incorporate. Mix the flour, sugar, salt and cardamom in a large mixing bowl. Make a well and pour the wet ingredients in. Using a wooden spoon, mix until you have a rough dough. When the dough has taken shape and is no longer sticky, turn out onto a clean floured surface and knead for about 6 minutes until smooth and elastic. Dust with a little flour if you find the dough is too sticky. Transfer the dough to a floured bowl, covered with cling film and a towel and let it rise for 45 minutes in a warm dark place. Preheat the oven to 180°C/350F/Gas mark 4. To prepare the filling, in a bowl, beat the butter and sugar together until you have a smooth paste. When the dough has risen, punch it down in the bowl and cut it in half. Roll one of the halves into a rectangle about 3mm thick, and then spread half the filling all over and sprinkle with half the chopped chocolate. Fold in half to create a sandwich of the filling. Cut out 3cm/1" thick slices, then cut each strip down the middle leaving a little at the end holding it intact. Twist each strip to expose the filling slightly and then tie into a rough knot. Repeat the process with the second half of the dough. Place the buns in a baking sheet lined with parchment paper, cover with cling film and allow to rise again for 20 minutes or until doubled in size. Brush with the beaten egg and then bake the buns in the oven for about 15 minutes or until they turn golden brown. The buns are incredible eaten still warm from the oven. These are incredibly easy to make! The whole family loved it! And the boyfriend enjoyed making it with me 😀 thanks, Donal! 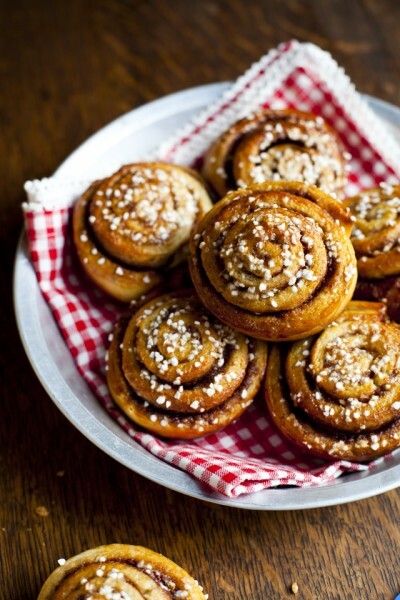 Your recipe for the chocolate buns is delicious! The whole family enjoyed it. Thanks a lot! How long do they last for after baking and what’s the best way to store them? Thanks! 2-3 days in an airtight container although they never hang around that long! 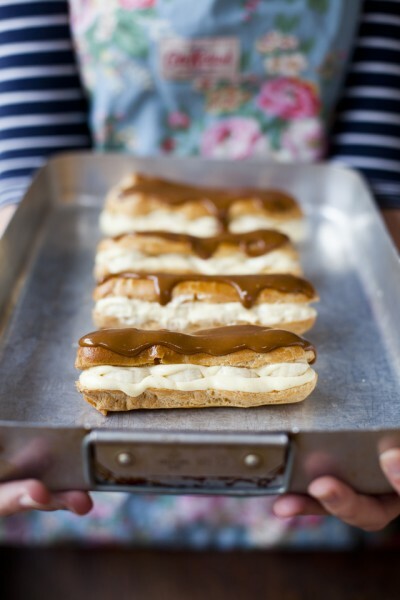 Hi Donal, I was planning on making these as part of brunch. Can the dough be made in advance and frozen? Hmm for best results I would say make fresh but I’m sure it would be ok.
All of my recipes are in EU measurements but now that I’m in the US I’ll have t start thinking about US measurements too.